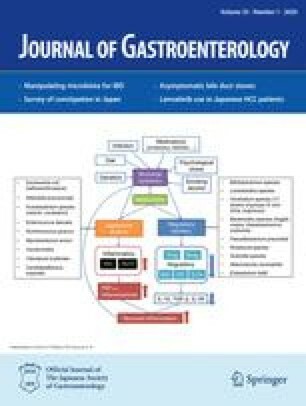 To determine the efficacy and tolerability of an enteric-coated peppermint-oil formulation (Colpermin), we conducted a prospective, randomized, double-blind, placebo-controlled clinical study in 110 outpatients (66 men/44 women; 18–70 years of age) with symptoms of irritable bowel syndrome. Patients took one capsule (Colpermin or placebo) three to four times daily, 15–30 min before meals, for 1 month. Fifty-two patients on Colpermin and 49 on placebo completed the study. Forty-one patients on Colpermin (79%) experienced an alleviation of the severity of abdominal pain (29 were pain-free); 43 (83%) had less abdominal distension, 43 (83%) had reduced stool frequency, 38 (73%) had fewer borborygmi, and 41 (79%) less flatulence. Corresponding figures for the placebo group were: 21 patients (43%) with reduced pain (4 were pain-free) 14 (29%) with reduced distension, 16 (32%) with reduced stool frequency, 15 (31%) with fewer borborygmi, and 11 (22%) with less flatulence. Symptom improvements after Colpermin were significantly better than after placebo (P<0.05; Mann-Whitney U-test). One patient on Colpermin experienced heartburn (because of chewing the capsules) and one developed a mild transient skin rash. There were no significant changes in liver function test results. Thus, in this trial, Colpermin was effective and well tolerated.